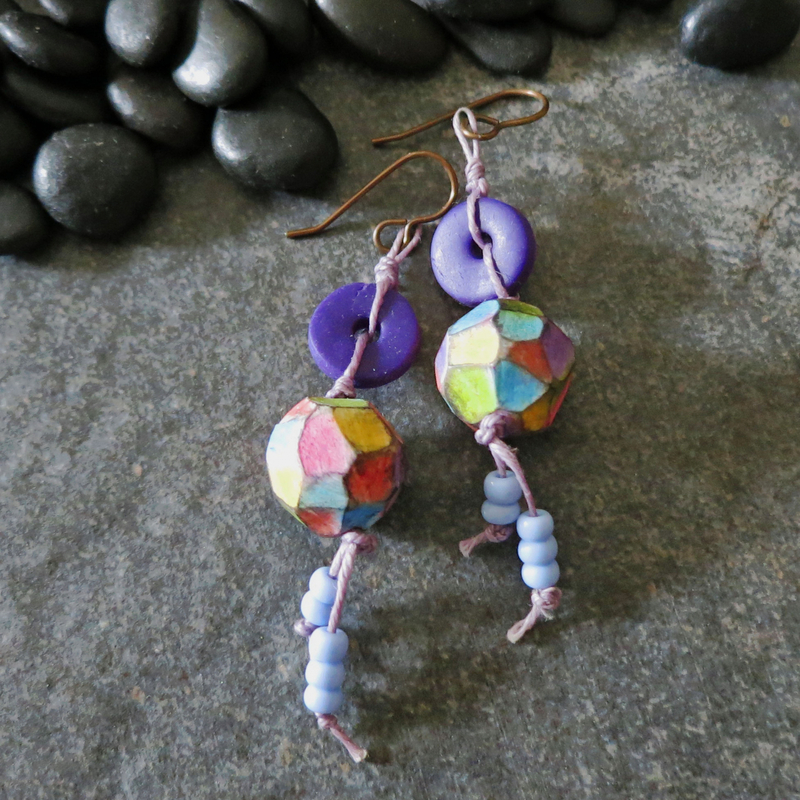 Colorful polymer clay beads dance lightly on your ears when you wear these fun earrings! 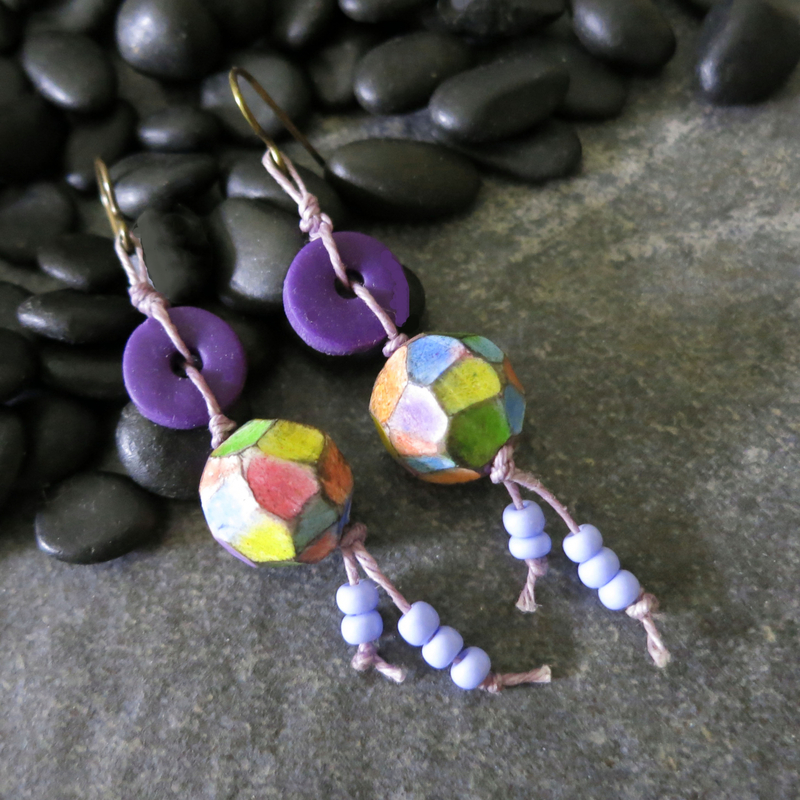 The faceted purple, blue, pink and yellow beads are hand knotted to purple discs with lavender Irish waxed linen. 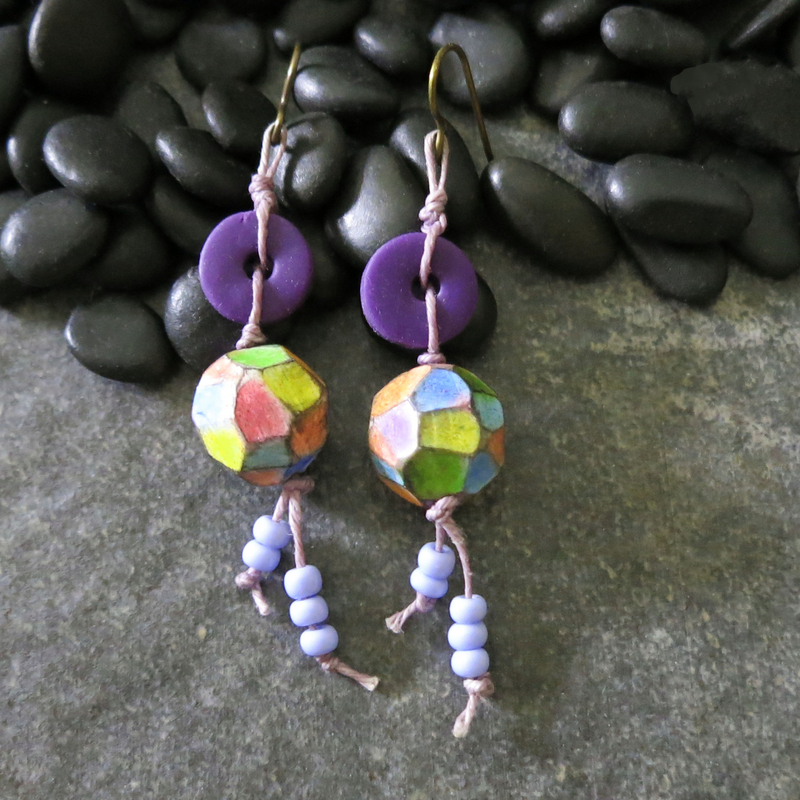 The harlequin colored facets were carved into the polymer clay and tinted with art chalks. 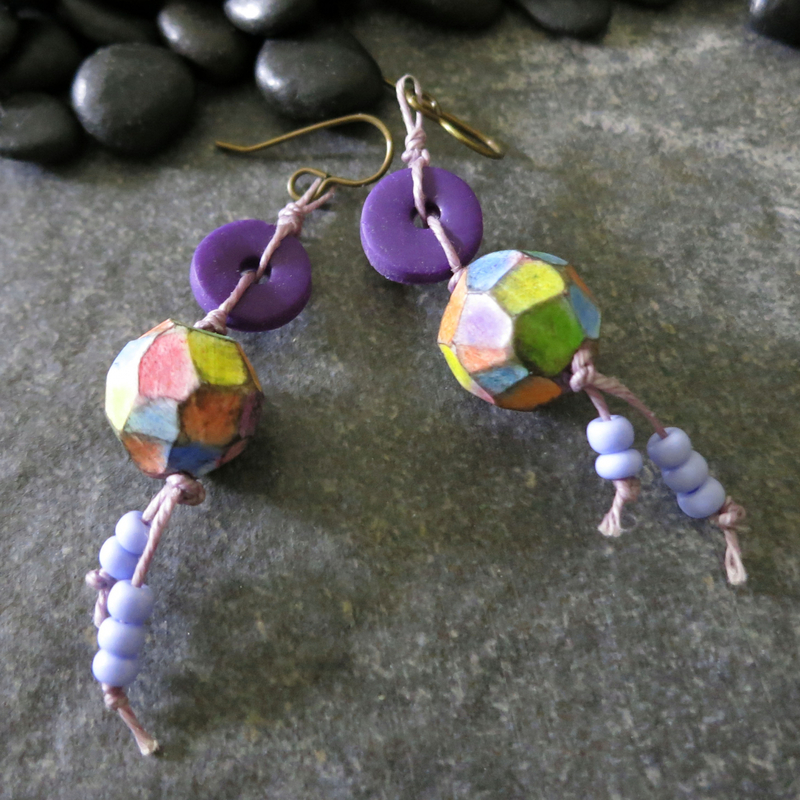 They have a matte finish and are sealed for lasting beauty.. Polymer clay is very lightweight and comfortable to wear. Periwinkle blue glass beads dangle at the ends of the Irish waxed linen cords. 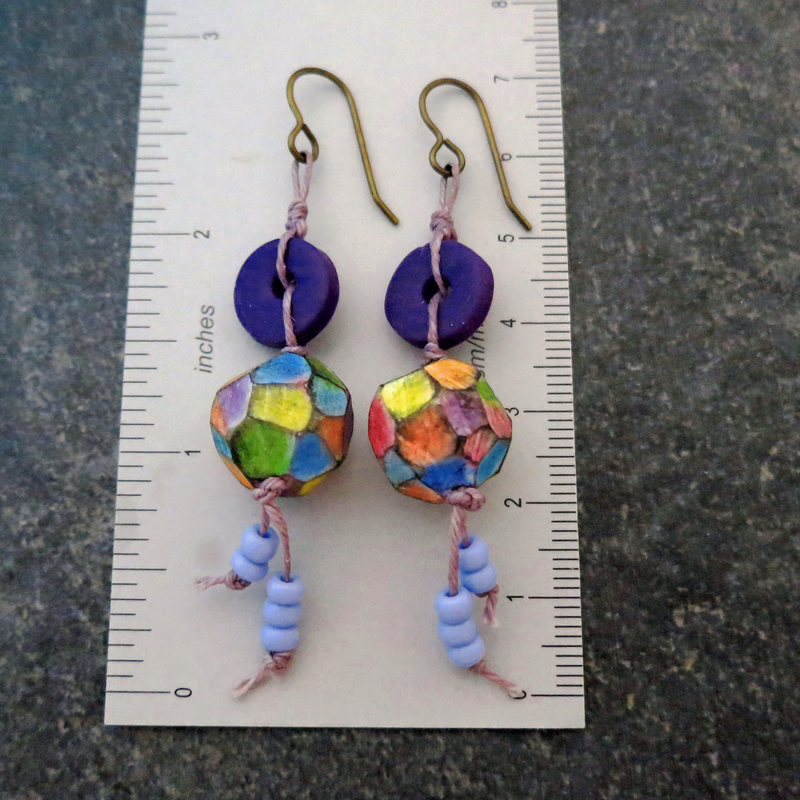 These one of a kind earrings are so happy and colorful, that I have named them "Celebration Earrings".